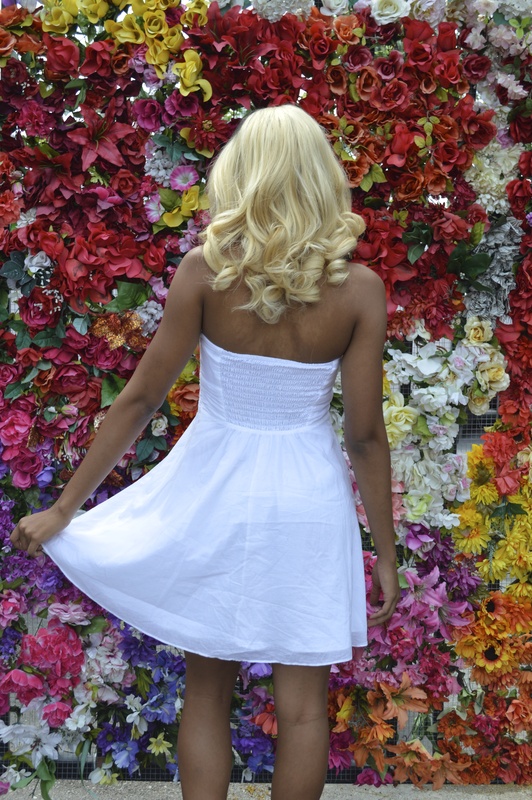 Sometimes you have to step back and smell the roses. Granted these flowers were fake but that doesn’t take away from the value of joy it brought me for those few moments. I’ve had to realize that, “Nothing will ruin your 20’s more than thinking you should have your life together already.” It’s a process and a journey that I’ve learned to go with the flow. As I continue to work hard everything will fall into place. Previous Post British girl in Miami; M i S F i T.
Yes that dress from Express is my favorite. Thank you! I loooove that quote so much! Putting pressure on yourself (myself!) to have my sh*t together is so stressful. How about we just enjoy life, hey? 🙂 Your hair looks gorgeous in this post, lovely pics! 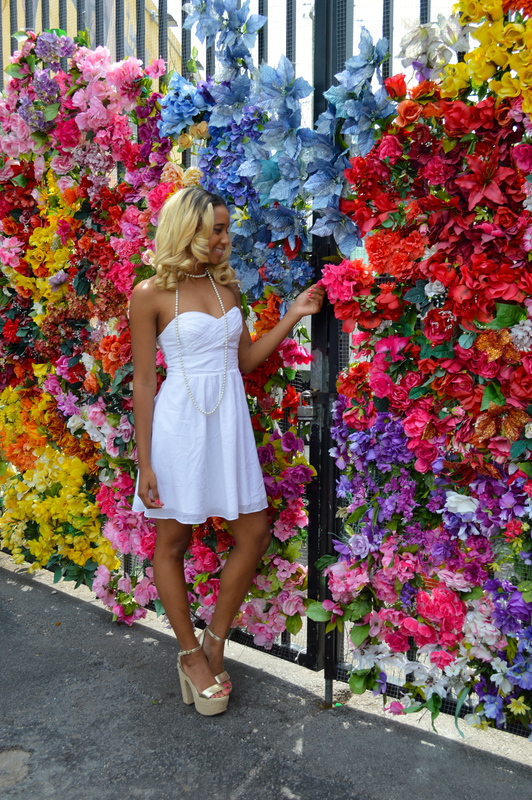 this wall of flowers is gorgeous! I checked also your older posts..love your style! That just made my day. Thanks love. You are perfect. Thank you Maggie! love this look. and those shoes are amazing!